Looking for a place for your next team building event or company offsite? The team at Long Branch Farms makes organizing the perfect day for your group easy. You set the date and they handle the rest. Enjoy this one of a kind old western town that will empower and motivate your crew. They arrive skeptical at first, heads swimming with to do lists and pressing deadlines not necessarily wanting to be at a company offsite, yet they leave with the realization that before they were scientists, software engineers or executives, they were all kids. Team building at Long Branch gets rave reviews for the wide array of group activities and the all out fun. Your team is immediately immersed in specialized and imaginative indoor and outdoor challenges as soon as they enter the western town. The onsite team building event planner is there to customize your company outing and create the perfect day for you and your team. 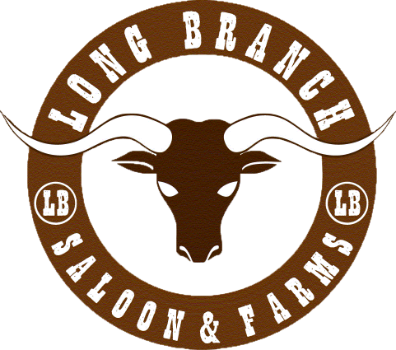 Corporate events at Long Branch are about connecting, face to face. From the pragmatic software developer, over-competitive salesperson, and even the visionary director, this corporate retreat has something for everyone in todayʻs multi-generational workforce. The real magic happens back at the office, where - because they know each other as people - your team speak a little more courageously, a little less politically, and quite frankly, get more stuff done. There are chili cook-offs and then there are chili cook-offs at Long Branch Farms. Whether your groups is 25 or 300, you will enjoy the ease of making this off-site happen. All you have to do is get them on the bus, grab a kerchief and watch camaraderie take off. A retreat where you can connect with your crew and let the Long Branch Farms team handle the rest. Whatʻs involved? A treasure hunt throughout the property, a mystery ingredient, a lot of discussion on who knows the best way to chop an onion, and hysterical laughter when the shyest person on the team lets go of their inner creative spirit during the chili presentations. Start the day with a productive offsite meeting and finish the day with a fantastic meal. See for yourself. Browse the chili cook-off gallery. If you are planning a corporate offsite to get your team outdoors and breathing in fresh air you’ve come to the right place! Enjoy biking the beautiful California Coastal Trail. It’s a popular team building activity among smaller corporate groups. Learn more here. Calling all foodies. Once the grills are fired up, itʻs hard not to start drooling. Itʻs a full sensory experience as you listen to the sizzle of olive oil, grab a handful of freshly popped Kettle Korn and taste a sample from the exclusive sumptuous wine. The outdoor kitchen at Long Branch serves up a feast suitable for the veggie-phobic carnivores in your crowd to the newly vegan. We understand that for the foodie, food is culture. Long Branch is the setting for a limited number of Casino Nights each year. A night of fun and games with casino chips, not cash. Put on some cowboy duds and leave the hustle and bustle behind for a night to remember. Belly up to the bar featured in the movie "The Quick and the Dead". Keep an eye out for Sharon Stone and beware of gunslingers and dancing girls as the country music fills the town.